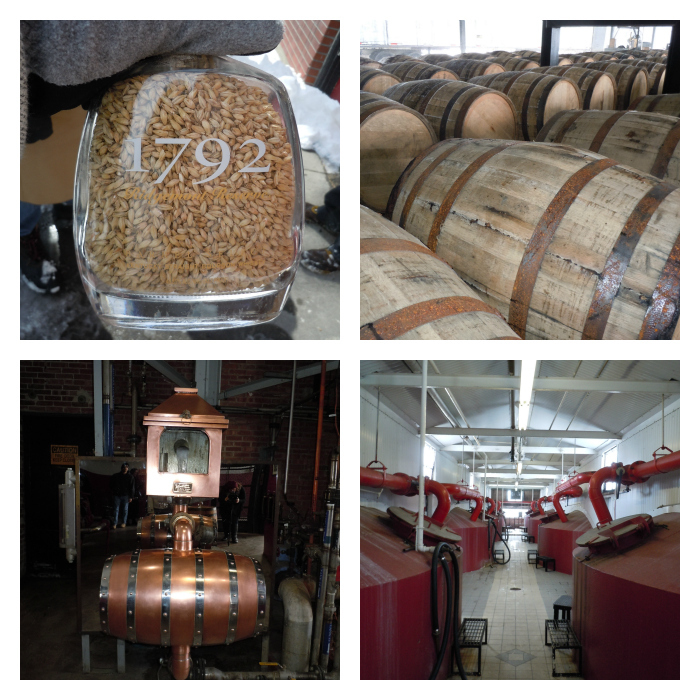 Barton 1792 Distillery in Bardstown isn’t on the Kentucky Bourbon Trail, but it’s definitely worth a visit. They make a lot more than just bourbon there, but they still have an enormous bourbon distilling operation where they make 1792 and Very Old Barton, among others. One thing that blew my mind when I visited a couple months ago was the plumb-bob in the dirt-floored rick house. 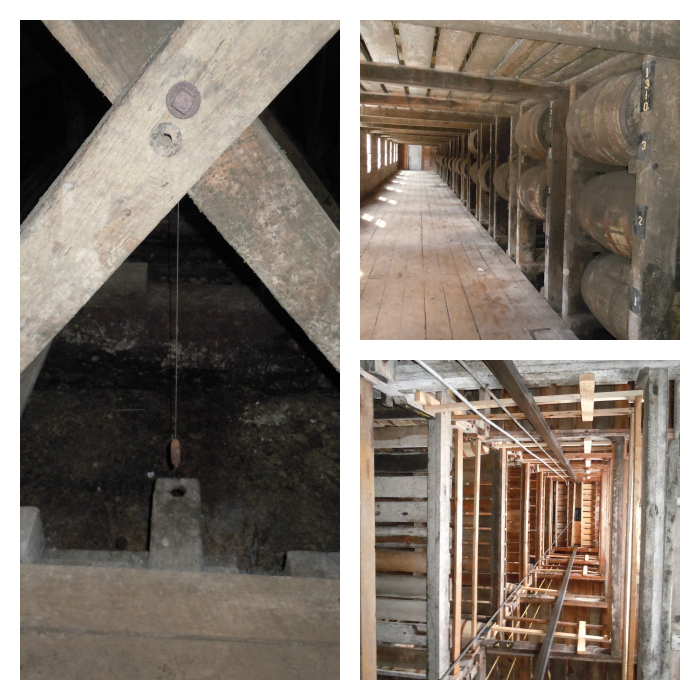 Our tour guide pointed it out between rows of bourbon barrels, and they hang down every few rows in each of the original rick houses. When it rains sometimes, the plumb-bob will get out of plumb. Then when the ground dries out it will straighten back up. The thought of all those barrels of bourbon being supported by a structure that flexes so easily in the rain is a bit intimidating, but the fact the rick house has survived so long is also reassuring. Tours at the Barton Distillery in Bardstown are complimentary, though as with all distillery tours you should always call ahead to be sure they are open for tours. While this isn’t a quaint distillery geared toward tourism and photo opps, it is a great way to see the more industrial side of the bourbon industry. And remember- just because it’s not what you’d typically picture as the quintessential bourbon distillery doesn’t mean they don’t make some darn good bourbon.